Heather Willey advises clients in the areas of government services, government finance, and education and healthcare law. Practical and analytical, Heather is an ardent team player who is able to create synergy among even the most diverse parties, working through issues collaboratively while realizing her client’s goals. Heather focuses her practice on broad governmental and municipal law issues for cities, towns and counties. A registered Indiana lobbyist, Heather has been involved in policy development, analysis and negotiations at the local, state and federal levels. 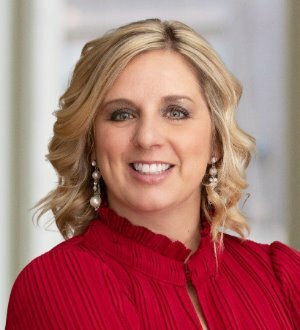 She helps companies, individuals, non-profits and governmental units achieve legislative solutions before the Indiana General Assembly, Indiana State Administration and Indiana Department of Education. Heather co-chairs the firm's Charter School and School Innovation group. She advises on education reform, including innovation network agreements with public school districts, charter school application development, nonprofit application assistance, the development of governing documents and bylaws, and implementation of and accountability to charter school authorizers. Heather has been intimately involved in the charter school and school reform movements since the inception of the laws in Indiana in 2001. In addition, Heather works with education service providers and schools to provide high-quality educational options to Indiana students and families. She serves as counsel to charter school boards and school leaders by providing guidance on educational questions, public access, school discipline and open records, business, finance and personal matters. She helps charter school authorizers develop application, review and accountability systems, and has worked with public and private school leaders and reform organizations to promote and seek assistance from state elected and administration officials for support of new school programs and opportunities for students and families. Healthcare matters are also an important component of Heather’s practice. She advises healthcare providers on issues related to billing policy, state reimbursement and health policy. She advises on new rules and regulations related to the implementation of the Affordable Care Act. Moreover, Heather represents clients in their interactions with state government. Prior to the law, Heather worked in the office of Indiana Gov. Frank O’Bannon from 1997 to 2003. She acted as the governor’s special assistant for legislative affairs and served as a liaison to the members of the Indiana General Assembly. Heather was also special assistant to the governor, assisting him on various projects and later as the executive assistant for education. In this role, she supported the implementation of Indiana’s first charter school law and standards and accountability reform, and worked as the governor’s chief advisor on K-12 education matters. Regardless of the challenge at hand, Heather is able to sort through complicated issues and win over difficult personalities by building the requisite consensus needed to succeed. She is dedicated to cutting through red tape and working diligently with elected officials, agency professionals and other matter constituents in support of client objectives.